Devi (Chennai, India) on 14 July 2016 in Plant & Nature and Portfolio. Une très belle photo fleurie!!! Beautiful floral still life :-))))Haleja. A very pretty collection of flowers that serve two purposes. 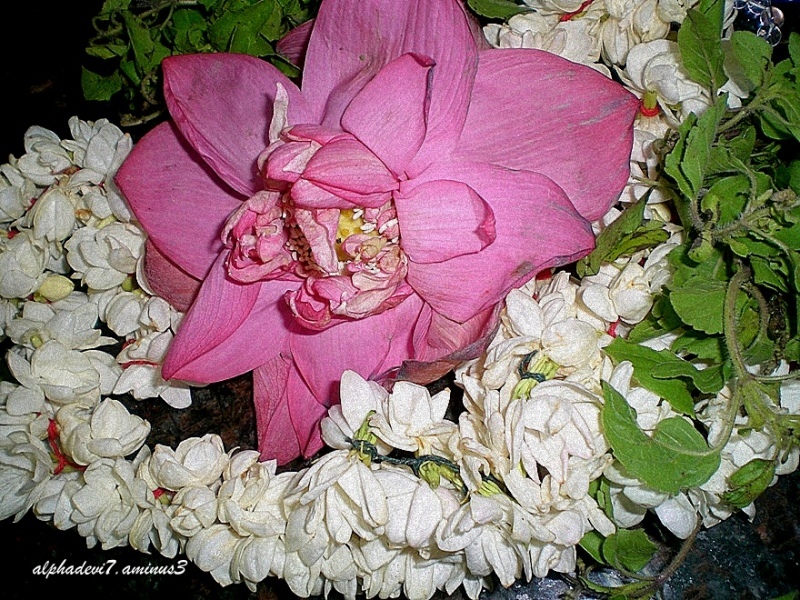 What a beautiful image of flowers of Blessings received in the temple. Ce blanc ce rose quelle vue et iamge quelles fleurs. A nice colorful bouquet you have photographed, well done. A beautiful arrangement. I love the colors! Nice composition! The flowers console each other. @fateme@@: :)) Thank you . This makes a wonderful bouquet ... the colors are fabulous !! !